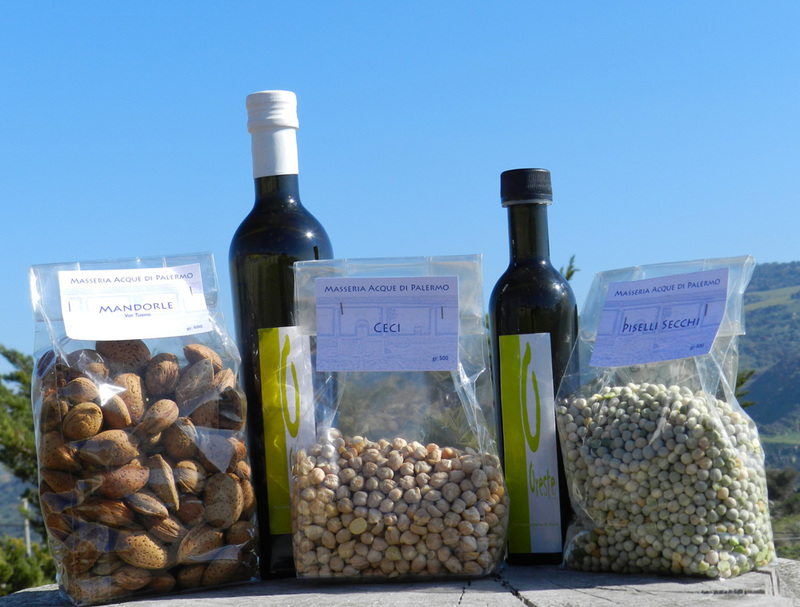 Masseria Acque di Palermo is well-known and valued in Italy for its farm-to-table products by an act of Regione Siciliana. Our products are cultivated, made and packed in Sicily, in a 100% made in Italy spinneret. We supply both privates and commercial activities all around Italy. The extra virgin olive oil we produce is extracted mechanically from olives of Biancolilla or Nocellara del Belice qualities, free from chemical fertilizers and pesticides. Our 100% Italian homemade pasta is made of wholemeal flour and using only the wheat we produce. Lentils and chickpeas, always present in vegetarian and vegan diets, have the role of renewing crops in our company. We have two types of almonds – Pizzuta and Tuono.They grow spontaneously, and for this reason they preserve taste, seasonings and consistency of “almonds of yesteryear”. Call us at 336 696155 for more informations or to order our products. We cultivate our land and direct our production respecting nature and protecting the ecosystem. Our products preserve their own natural qualities because they are free from toxic materials. ✔ Wheat is free of mycotoxins. ✔ There are no traces of pesticides in legumes. ✔ Olives are cultivated without plant protection or herbicide. ✔ Almond trees are on a rocky terrain and their growth is spontaneous.